Soms zijn verhalen zo goed, die moet je niet proberen opnieuw te vertellen, die moet je één op één doorgeven. Dat doen we nu met het verhaal van Sixpoint. Zij schrijven: We remember our first sip of hoppy beer, do you? Nearly spit that $#!^ out. Now we fantasize about this stuff. Thinking about those hop cones… bursting with juice… ripe as all hell… makes you look forward to that first RESIN all day long. Can’t wait. 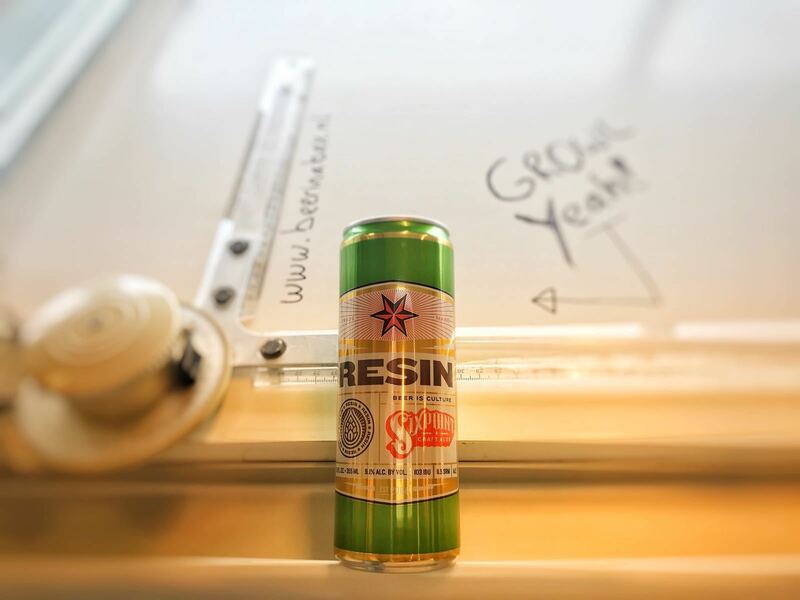 RESIN slaps you with serious unfiltered dankness — sure it stings, but it feels so good at the same time. It’s hop candy up front, but drinks super clean for the size of the beer. Key Ingredients Chinook and Centennial Hops are a little old school, with tons of resin and pine notes. RESIN uses a ton of different hops, for a massively complex hop bouquet. En over waarom IPA in het begin zo moeilijk We’re talking about something called the lupulin shift. Ever heard of it? In nature, bitterness indicates poison. So that first sip of bitter beer doesn’t just offend the palate, it actually inspires fear. But IPA is the most popular style in all of craft beer. So how does that work? At some point, this distaste/fear flips like a switch. The shift can happen over the course of months or over the course of a sixpack, seriously. Then the fear turns to craving. It’s like how pain and pleasure are so closely related. Don’t fear the mysterious power of the hop cone… embrace it. There are insane heights of flavors to be reached in there. Sure it stings, but it feels so good at the same time. Now that your brain’s been shifted, and the siren song of that hoppy RESIN comes calling… we’re left with one question: Did we bring you over to the dark side, or show you the light? Sterke, pittige smaken zoals in een curry of een complexe smaak als blauwe kaas. Kan ook bij een toetje! Doe maar carrot cake!